Gift Certificates may be outdated, but letting loved ones pick the gifts they really want is always in style. Before we changed our name to GiftCards.com, the company started out as GiftCertificates.com. Though gift cards are the norm and will even be replaced one day by digital gift codes and gift credits, there are still a handful of smaller stores and restaurants that only offer paper gift certificates. While gift certificates are better than nothing and are sometimes less expensive than incorporating a gift card program, paper promissory notes fall short of gift cards for several reasons. Here are four reasons to give a gift card instead of a gift certificate. 1. Easy to Carry. Paper gets lost, crumpled, damaged by water, and accidentally tossed out with receipts and paper fliers. Plastic gift cards are durable and have a place in the wallet—preferably right next to the debit or credit cards you use most often. They’re easy to carry, easy to remember, and easy to redeem. 2. Can be Replaced. Gift cards from GiftCards.com can be registered and tracked via our website. If a gift card gets lost or is stolen, you have the option to replace it and issue a new one. Lost or stolen paper gift certificates are gone for good. 3. Usable Online. Gift certificates must be presented and validated in person. Gift cards can be used online to make purchases. 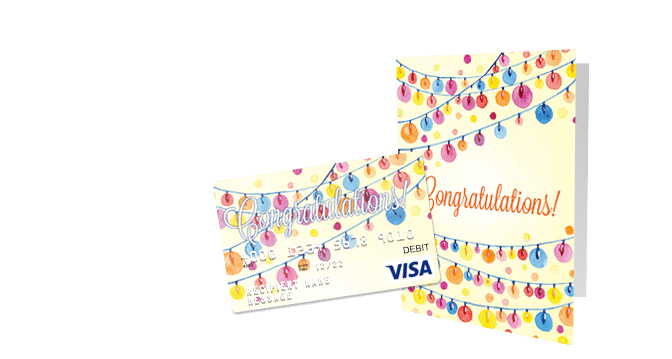 Visa® gift cards and Mastercard® gift cards from GiftCards.com can be used wherever these credit cards are accepted. 4. Partial Value. Gift certificates have to be surrendered entirely when redeemed because there’s no way to use part of a gift certificate. Gift cards can be used a little at a time until the full value of the gift card is received. Find out more about our Local gift card program and switch from paper gift certificates to plastic gift cards today. "I normally only encounter gift certificates at small mom and pop shops who accept credit cards but don't want to invest in a gift card program. With the GiftLocal program at GiftCards.com, you can send someone a gift card that is redeemable wherever Discover card is accepted. So that small retailer downtown who only issues gift certificates will still be able to accept the gift card you send."